Chicago Cubs documentary to air Tuesday on HBO. The Chicago Cubs were the best team in baseball – almost a century ago. They won a record 116 games in 1906, and back-to-back World Series titles in 1907 and 1908. Fast- forward to 2006, and the “Cubbies” are still waiting for another championship win. But despite the longest dry spell between world championships in all of professional sports, the Cubs are perennially in the top ten in league attendance. WAIT ‘TIL NEXT YEAR: THE SAGA OF THE CHICAGO CUBS chronicles the lives of die-hard Cubs fans, and the ultimate devotion they show their beloved team. The documentary captures the energy and optimism of opening day from the fans’ perspective, following several fans over the course of the season as they root on their team. The “Sports of the 20th Century” documentary premieres TUESDAY, SEPT. 26 at 10:00-11:00 p.m. ET/PT. Can I buy a copy of WAIT ‘TIL NEXT YEAR: THE SAGA OF THE CHICAGO CUBS. I loved the saga. I found myself cring when they showed the 1969 Cubs and what could have happened. can I buy a copy? Would like to get a copy of the documentary. We saw it on HBO on vacation and would love to get a copy for our kids! I would also love a copy, my fiance’s birthday is comming up and this would be great for him! Documentary Film makers have been good to baseball. HBO bigwigs love the game and have had quite a few really good ones. This is one of the best. I too would love a copy. I actually called HBO.. No such luck according to them. If anyone finds copies, please let me know..
Iam an avid Chicago Cubs fan from South Africa. I didn’t have the chance to watch this documentary beacause we don’t have HBO in my country. I read about it on the Hbo website. I watch the Cubs play on ESPN. I loved the 2003 season I was upset when the Cubs lost! I have a fan for 14 years next year will be my 15th. The Cubs are my favourite sports team. 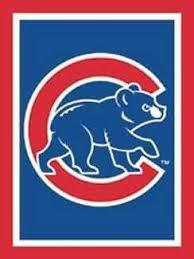 I want the Cubs to win a few World Series championships! I see people asking where they can buy a copy, but no answer. Can this be purchased? If so, how? Since it is new, I don’t think it can be purchased on DVD yet. When it can, I’ll be the first in line! Just finished my third book on the Cubs. Title? “The Chicago Cubs and The Curse of the Goat>” Should be out by Feb. and I hope all Cub fans follow the advice at the end because before I die (I’m 82) I would like to go to a Cubs World Series and see them win. I am a HUGE fan..Not Just a Bandwagoner..I love the movie..I’ve been going crazy trying to find it for the past year. Where can I buy it? I would like to buy a copy of this for my Dad…am i able to that? I have been looking for a copy for the last several years but no luck. HBO did not respond to my Emails and I have not found the documentary on sale elswhere. Youve got it in one. Clodunt have put it better. Wow, fantastic blog layout! How long have you been blogging for? you make blogging look easy. The overall look of your web site is great, let alone the content!. Thanks For Your article about Chicago Cubs documentary to air Tuesday on HBO. | Documentary Films .NET . can a copy of this be purchased?? If so , where? I am really wanting this for my die hard cubbie fan, son.